There are very many auto repair myths that surround collision repairs. Everyday we hear about this myth or that myth and in this article we’ll look at the most popular ones and try to shade light on them so that you dod not get influenced by them. Many myths that we come across at Davis Paint & Collision are meant to confuse car owners or magnify the amount of work to be done so that repair shops can charge extra. This is probably the most popular myth out there. You do not have to go with what the insurance company recommends. In fact, you have the right to choose the reputable vehicle repair company you can trust. 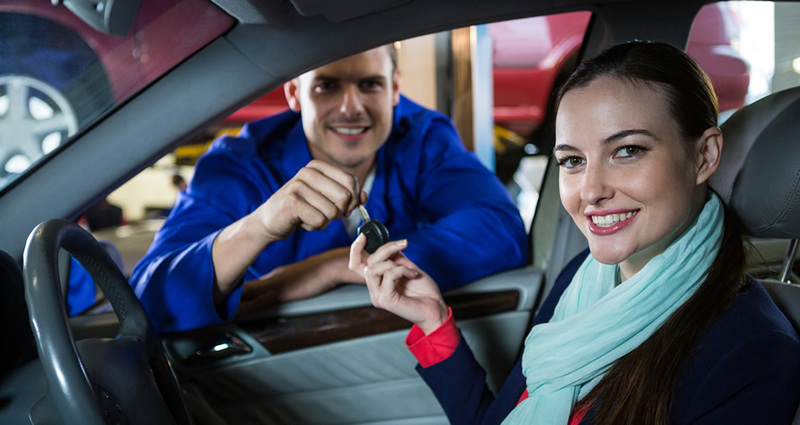 When you’re looking for an auto repair company, you should look for a certified auto repair shop in your area because these auto repair shops have to go through continuous training to keep their certification. At Davis Paint & Collision Auto Center, we maintain a number of certifications, some which are harder to obtain but we do it to maintain a high level of expertise. This is another popular collision repair myth and it’s definitely not true. Now, your insurance company may recommend that you get several estimates, but the most important step is to settle for a reputable, certified auto body shop. It makes no sense to spend time collecting repair estimates from repair shops with questionable reputation because at the end of the day, you want your can fixed properly. Cheap repairs are a big cause for frustration and a general loss of car value for many car owners. Choose well and you’ll keep your peace of mind. Many of us are guilty of this one. The check engine light comes on and we dismiss it. Some of us think it’s just for oil change reminders. While this can indicate small issues like electrical misfire, it’s there for a reason. Many times it indicates a larger underlying problem that can be corrected earlier on but because we wait, the problem just gets worse. What you need to do is drop by a reputable auto repair shop and have it examined. It may just save you from major repairs down the road, not to mention your own safety. Myth #4: My insurance policy covers all repairs! This last myth is one that frustrates car owners a lot. Your insurance policy does not cover all types of repairs. The type of coverage you have can greatly affect the level of repairs that you have and so it’s important to get familiar with what your policy covers and what it does not. For example, some insurance policies do not cover uninsured drivers while others may limit the amount of repairs done. Call your insurance agent as soon as you can and understand your options. All in all collision repairs are repairable to a large extent and the key to better repair experience is finding a reputable repair shop. In Oklahoma City, Midwest City and surrounding areas look no further than Davis Paint & Collision Auto Center. We have 2 locations to serve you more efficiently. Please give us a call at our Oklahoma City location (405) 733-9797 or Midwest City location (405) 732-0762!